If you don't like hauls/gifts posts, then please scroll past this entry or click the "x" at the top of the page. I do not say that with menace, but just that it is common sense. :) I personally love seeing what people get! So if you made a Christmas list in your blog, link me to it! Or share what your favorite gift is that you received or gave someone this year! A dog lover's pin from Avon and three bracelets with charms to add to my collection. 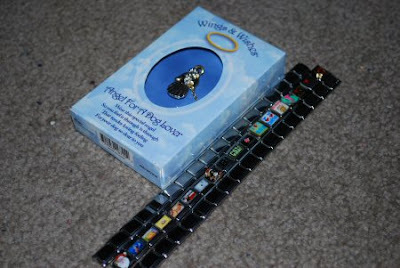 My husband picked a bunch of charms that made him think of me. They were all very thoughtful. I especially love the one that says "I love my boys." That's what I call my baby cousins and brother. So that charm is extremely close to my heart and my new favorite. 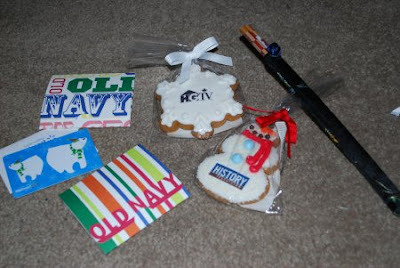 My husband works in advertising so I got little cookies from his clients. I got a new pair of chopsticks, two Old Navy giftcards, and a Walmart card based solely on the fact that it has polar bears on it! 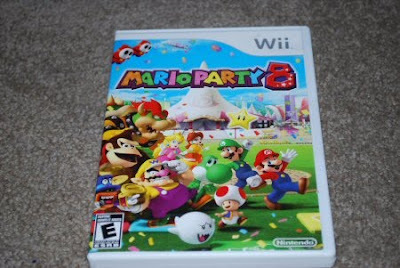 Mario Party 8! I've been wanting this awhile! I always get magazines in my stocking. My stocking is huge, so these fill it up quickly. 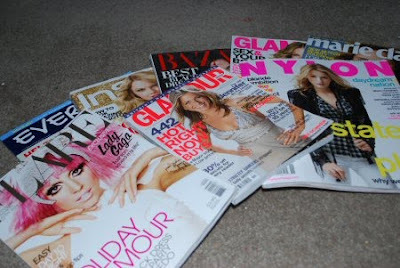 Magazines- Everyday with Rachael Ray, In Style, Harper's Bazaar, Glamour, Marie Claire, Flare (Canadian), UK Glamour, Nylon. 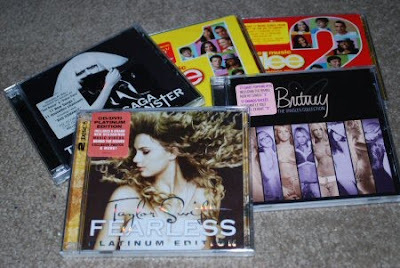 There haven't been that many CDs that I've really wanted lately, but all of these were on my list! Yeah, I'm just a little addicted to DVDs. 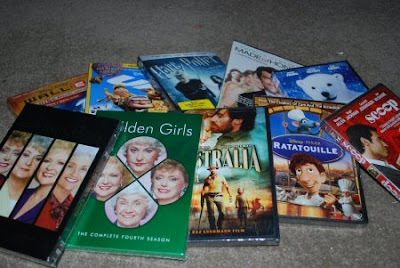 :) Those two Golden Girls DVDs complete the series in my collection. Golden Girls FTW. Viva La Juicy giftset. Perfume, purse spray, body lotion. This bottle is one of the prettiest in my collection by far. Skincare! Polar bear bubble bath from Avon (because I'm obsessed with polar bears), Cetaphil moisturizer, and Clean & Clear Acne Spot Treatment. 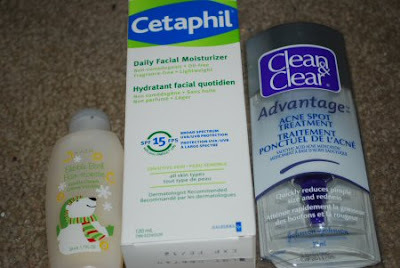 Reviews to follow on Cetaphil and Clean & Clear. Makeup items. 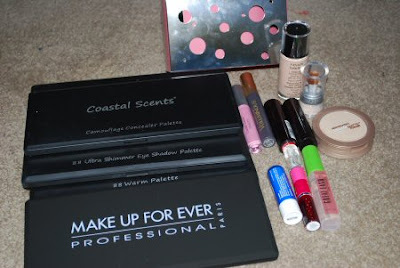 Three Coastal Scents palettes (shimmer, warm, concealer), MUFE palette (empty for my already owned MUFE shadows), MAC lip kit, Revlon ColorStay foundation, L'Oreal Concealer, Coastal Scents lipgloss, L'Oreal Voluminous mascara, two Rimmel lipsticks, Maybelline Dream Matte powder, Nivea lipbalm, Benetint Pocket Pal, and clear Great Lash mascare. Reviews to follow on many of these. I'll post what I got while I was home later! I count that haul among my Christmas gifts. :) It might have to wait until I get home to take pictures. I'm away from home all week, though. I'm pretty excited about some of my finds!